In 2018, on a night of landmark elections for many communities, two American Indian women won seats in the House of Representatives, becoming the first Native women to do so in history. 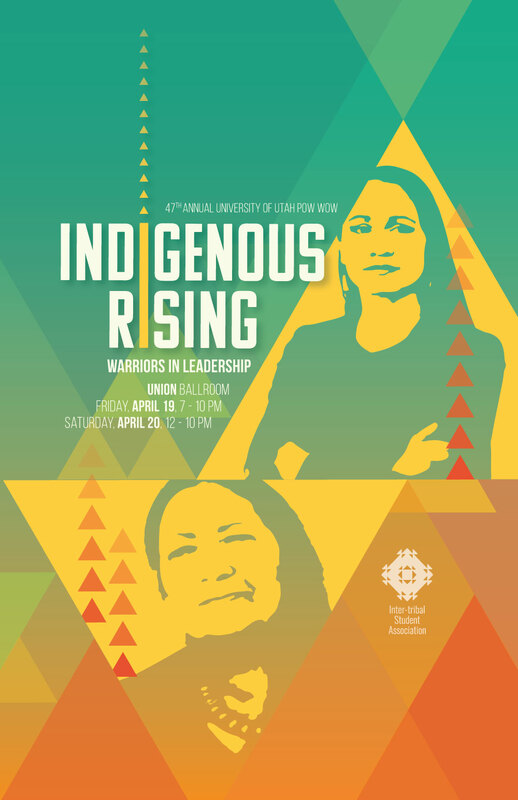 In honor of this achievement for the indigenous population, the Inter-Tribal Student Association (ITSA) has chosen Indigenous Rising: Warriors in Leadership as the theme for the 47th Annual University of Utah Pow Wow. The electoral victories of Sharice Davids, member of the Ho-Chunk Nation from Kansas and Deb Haaland, a Laguna Pueblo from New Mexico, represent various facets in the rise of Indigenous leadership. Lori Begay, a member of ITSA and Pow Wow planning committee, notes that “historically, American Indian women were viewed as important leaders in their communities. This power was removed by the arrival of colonizers.” While many tribes held matrilineal practices, most – if not all – were keenly concerned with the balance of roles in the community. Colonization and the European practice of patriarchy forcibly replaced these customs and relegated women to the role of silent housewives. For Native American women, the election of Davids and Haaland reclaims their ancestral right to leadership in a society that has undermined the power of Indigenous women. “The Inter-Tribal Student Association chose to honor these women as a way to highlight the return of women to their place of leadership. By honoring these two women we acknowledge their success and provide inspiration and encouragement to the younger generation,” says Begaye. The election of Davids and Haaland was also accompanied by several wins for Native communities on local and state levels. These elections represent Indigenous participation in the United States government, despite the relatively short time that Native communities have been included in federal politics. It was only in 1924 that Native Americans were recognized as citizens of this country; but even then, in some states they weren’t granted the right to vote until as late as 1948 and recent cases of voter suppression have further strained this relationship.The electoral victories like that of Davids and Haaland, some native leaders say, demonstrate the communities’ existence and resilience despite the legacies of colonialism. The University of Utah Pow Wow is the embodiment of Indigenous student leadership on campus. The University of Utah Pow Wow, Indigenous Rising: Warriors in leadership, is the embodiment of Indigenous student leadership on campus. Begaye reminds us that the U’s Pow Wow “is a time for American Indian/Alaskan Native students, faculty and staff to come together in community, celebrate our accomplishments, and to promote appropriate representation of our culture on campus.” Begaye encourages, “we want those who are not native to also understand our culture.” Everyone is welcome to attend Pow Wow on April 19 and 20.